don't recognize off hand and don't see it in the guide already - new is good. You have MANY spp. in AZ. 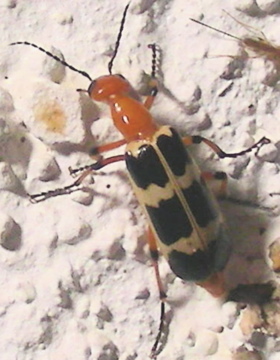 Charlie Brown Blister Beetle (Pyrota palpalis). Perhaps the same genus at least?? Edit: range given at that web site is: "Arizona to Texas, Mexico" - perhaps the same beetle? Sure looks right to me and the range also fits. here including link to type. Yours looks dead on for palpalis even without the pronotal spots. The other reminds me more of this.